When Rise. Shine. The Campaign for Wright State University launched on July 1, 2008, with a goal of $150 million, it was the largest campaign in the university’s history. When it concluded on June 30, 2017, the campaign raised an impressive $167,742,525, thanks to your generosity. Achieving—and surpassing—the dollar goal, while noteworthy, is only part of the story. In this campaign impact report, you will see how your gifts are already hard at work on behalf of students and faculty, campus facilities, and the programs and centers that touch our community. Most importantly, Rise. Shine. was an opportunity for the entire Wright State community to come together to transform the university to benefit students and the economic future of Ohio and far beyond. Thank you for making this campaign such a success! Greetings! It was our great honor to serve as your co-chairs of Rise. Shine. The Campaign for Wright State University. Making the dream of a college education a reality has never been more important than it is today. Thanks to more than 31,000 generous donors—like you—Wright State will continue to provide an affordable, high-quality education to students from all backgrounds and walks of life. We hope you take tremendous pride in knowing that your gift has helped change the lives of our students and their families for generations to come. That is a legacy that will live on long after all of us are gone. Thank you for your support of this historic campaign. We have enjoyed taking this journey with you and as Wright State celebrates its golden anniversary in 2017, we can’t wait to see what the next 50 years have in store! When we first embarked on Rise. Shine. The Campaign for Wright State University, we were right in the middle of the Great Recession. Despite the challenges we faced, I never doubted that this campaign would succeed. I was confident—because of you. The Wright State family—our students, faculty, staff, alumni, and friends—always rises to the occasion. You stepped up when we needed you the most, making Rise. Shine. the most successful campaign in Wright State’s history. Thanks to your generous support, this great university will shine for generations to come. I am so happy to share with you the results of our success. Please know that you made all of this possible and the best is yet to come. Together, we will continue to rise. Together, we will shine on. 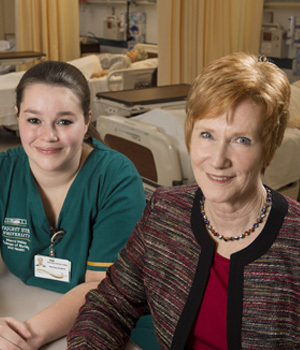 At its core, Wright State University is about people: hard-working students and dedicated faculty. Thanks to Rise. Shine., both groups are in a stronger position. 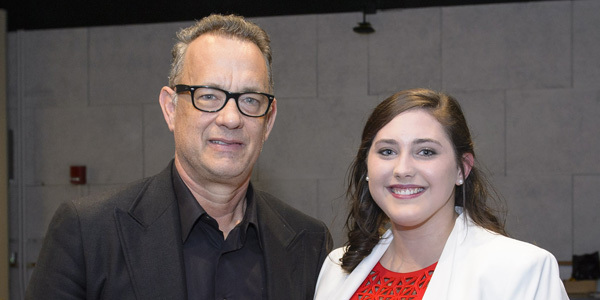 Gifts to the campaign established 376 new scholarships, which will keep a Wright State education within reach of more promising students. On the faculty side, the campaign brought two new endowed chairs and professorships. In addition, four new lectureships were added, which will expose students and faculty to new ideas, spurring conversations in the classroom and in the community. Ultimately, these investments in students and faculty are investments in the future: in the economic development and quality of life in the Miami Valley, state of Ohio, and in the nation. Joyce Rutherford-Donner and Micah Hurd ’17 share an incredible bond. Both earned or are earning degrees from the Wright State University-Miami Valley College of Nursing and Health as single mothers, paying their own way through school. Hurd is now the first recipient of a scholarship Rutherford-Donner and her husband established to help students just like Hurd. One look around Wright State reveals that Rise. Shine. has had enormous impact on the university’s physical environment. Campaign support, together with state capital and bond funding, allowed Wright State to strategically invest in new construction as well as undertake renovations in existing buildings. 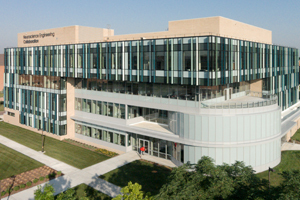 Gifts helped to finance three striking new facilities: the Neuroscience Engineering Collaboration Building, which was dedicated in April 2015; the Student Success Center, which was dedicated in October 2015; and the Creative Arts Center Modernization and Expansion Project, dedicated in November 2016. 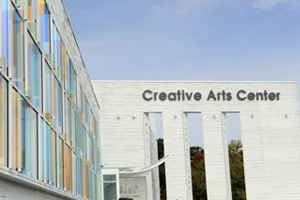 The campaign also funded 20 renovation projects in Dayton and in Celina, enhancing everything from athletic facilities to the Lake Campus Advanced Manufacturing Center. 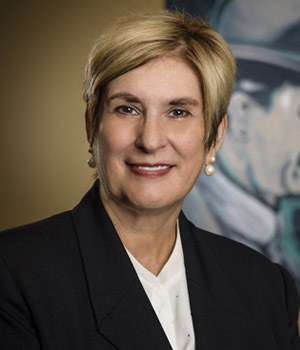 “I am who I am today because of all of the opportunities Wright State afforded me,” says Shirley Berry ’77. 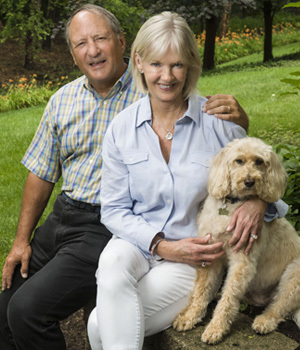 Now future students will be able to achieve their fullest potential, thanks to a $1.5 million gift from Berry and her husband, John. The gift will support student success programming in the Student Success Center. “Wright State is really unique with their programs to help students graduate,” notes John, retired president of the Berry Company in Dayton. 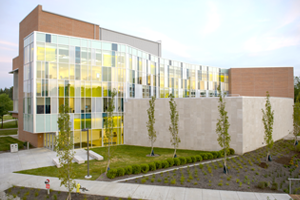 In appreciation, Wright State University dedicated The John and Shirley ’77 Berry Auditorium in the Student Success Center. At the campaign’s start, Wright State was a well-respected regional public research university. Today, thanks to Rise. Shine., the university is well on its way to being a national model for change in higher education: one that is known and admired for an inclusive culture that values the contributions of each student, faculty and staff member, and graduate. Campaign support is also advancing applied research—that which both solves problems and creates jobs. 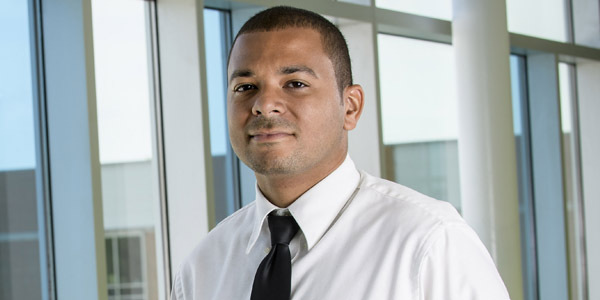 Wright State’s collaborations with business and industry throughout the Dayton region help students gain real-world, hands-on experience as researchers and entrepreneurs. In addition, campaign support is opening more opportunities for student academic teams to compete in regional and national competitions and strengthening community service outreach across campus. One of Wright State’s strongest corporate supporters, Reynolds and Reynolds has been partnering with the university since 1975. 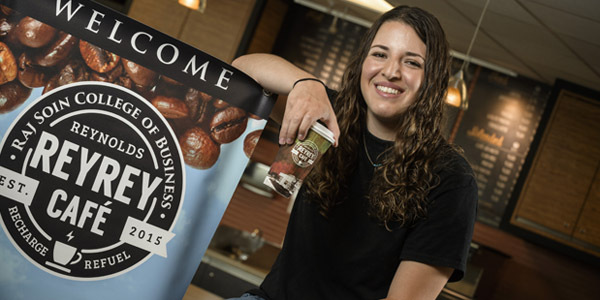 Over the years, Reynolds’ relationship with Wright State has evolved from funding student scholarships to creating an innovative partnership to promote student entrepreneurship. 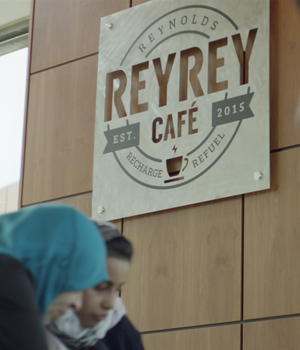 In 2015, the ReyRey Café opened in the Raj Soin College of Business—the first café on campus to be managed and operated by students. That same year, Reynolds also supported the creation of the Reynolds Espresso Lane Coffee Pit Stop in the College of Engineering and Computer Science.